Although chlorine is a good disinfectant, it has one major drawback. As a by-product of the disinfection process, chlorine combines with bathers’ body fluids and other organic debris in the pool water to form chloramines. 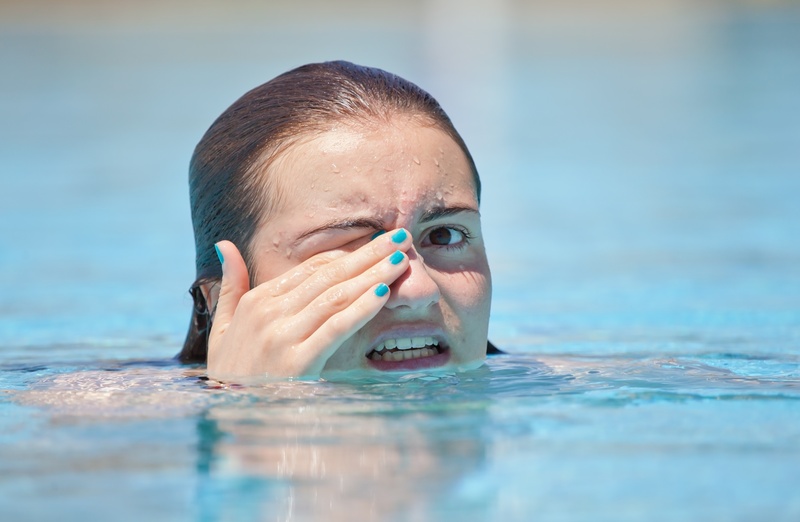 Chloramines are the substances that cause unpleasant eye, skin and nose irritation, breathing difficulties and the “chlorine” smell in swimming pools and spas. Chloramines cause also damage to bathing clothes ánd the fabric of the pool such as tiles, grouts, handrails and other fittings.Also there are examples of dangerous pathogens (viruses and cysts) that chlorine will not affect, like Cryptosporidium parvum and Giardia lamblia for example. How can my customers get rid of these harmful pathogens and chloramines? The answer is a non-hazardous, environmental friendly solution that can be installed in your customer’s (existing) filter installations: Ultra-Violet light. UV-light at a wavelength of 253,7nm (UV-C) is a very powerful germicide. It deactivates and renders harmless waterborne pathogens that are completely unaffected by chlorine based disinfectants. The biggest and most noticeable advantage of the treatment of pool water with UV light is that it destroys chloramines, thus reducing or even practically eliminating the undesirable side effects mentioned above of the use of chlorine based disinfectants. Is UV-C the solution to a chemical or chlorine free pool? Additional to being the secondary disinfectant, chlorine will also remove (oxidation) all of the remains of the killed and affected microorganisms from the water after the UV-C treatment. What about other chemicals used? Can these be used less? Chlorine raises the pH, so if you use less chlorine the pH will not raise too quick so eventually there will be less pH-minus or other acid necessary. By using less acid, the bicarbonate level will be kept on a steady level much longer. This has 2 advantages: the pH will stay much more stable so no corrections have to be made. That’s a vicious circle. On the other hand you can backwash less because of the bicarbonate level stays balanced for a longer period of time. More continuity and stability in the water treatment, can prevent the use of extra chemicals. Like a chlorine shock in a neglected pool for example. Chlorine disinfection = Good disinfection, but no destruction of undesirable chloramines and resistant waterborne pathogens. UV disinfection + a secondary disinfectant (mostly chlorine) = Excellent disinfection + destruction of undesirable chloramines and resistant waterborne pathogens. If you want your customers to improve the health of their swimmers and bring down the level of maintenance in pools and spas, you now know what to advise them.